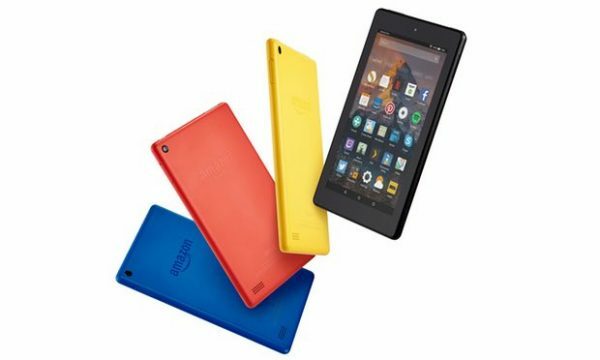 Amazon have this week announced two new devices, the Fire 7 and the Fire HD 8, both of which come with a Kids Edition of the device. The most exciting thing about both new devices though is that they come with the cloud-based vocal assistant, Alexa which is the brain behind Amazon Echo. This is great news as even with an increasingly impressive specification, the Fire is still amongst the lowest priced on the market. The new Fire 7 is thinner and lighter than its predecessors with an improved 7” display, enhanced Wi-Fi connectivity and longer battery life. It comes with 8 GB of storage and support for up to 256 GB of expandable storage. 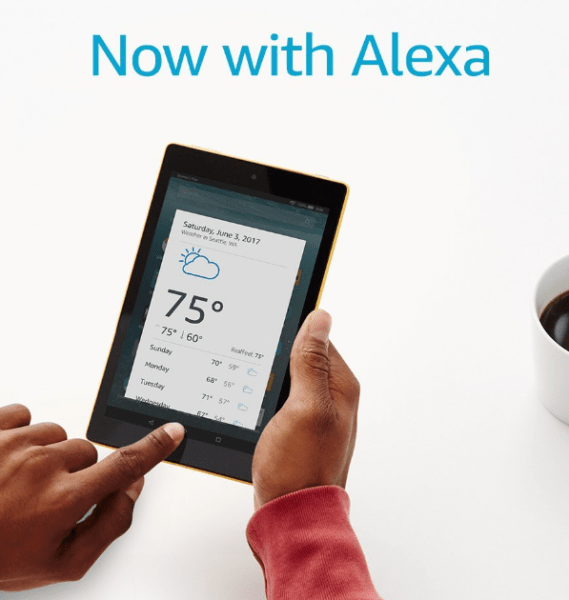 As previously mentioned, Alexa is now on Fire Tablets, delivering easy and fast access to music, games, audiobooks and apps, as well as pairing with compatible smart home devices. Alexa will also be coming to older Fire devices in the coming weeks through a free software update. This is available to pre-order for £49.99 and you can read more about it on Amazon. The Fire HD 8 has a beautiful 8” HD display with over 1 million pixels offering vivid colour and exceptional clarity. It also has a quad-core processor, 16 GB of storage with support for up to 256 GB more and a battery life of up to 12 hours. This also comes with Alexa and the RRP is now £79.99 and you can read about this on Amazon too. • Alexa—Simply press and ask to play videos, enjoy music, listen to audiobooks, ask questions, shop, find news, display the weather, and more on your Fire tablet. • Quad-core 1.3 GHz processor—Quickly and easily switch between apps, stream movies, and browse the web without waiting for your tablet to catch up. • Front- and rear-facing cameras—Video chat with friends and family with the front-facing camera; take and share photos, and save them for later with free, unlimited cloud storage for all photos taken on Fire devices. • Fast Wi-Fi connectivity—dual-band Wi-Fi with support. • Screen Sharing—let an Amazon expert guide you remotely through any feature on your screen, available 24×7, 365 days a year—for free. • Amazon-exclusive features—Alexa, ASAP, X-Ray, Second Screen, Amazon Fire for Kids, Family Library, Blue Shade, On Deck, Prime Video downloads, and more. • Massive content offering—Access to millions of movies, TV shows, songs, books, magazines, apps, and games—with free, unlimited cloud storage for all Amazon content. • New colour options—Black, Punch Red, Marine Blue, and Canary Yellow. Both of these new Fire devices will start shipping on 7th June 2017 and are currently available to pre-order. Protective covers are also available for Fire 7 and Fire HD 8 in multiple colours and can stand in both landscape and portrait orientations. Fire 7 protective covers are £19.99 and Fire HD 8 covers are £22.49. 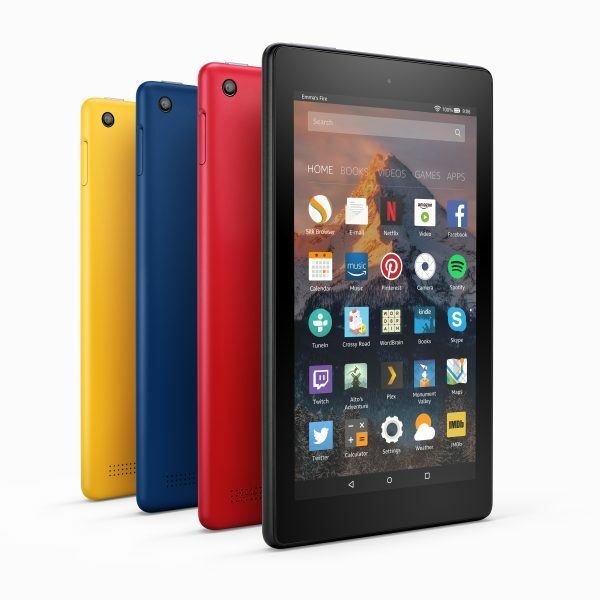 Parents will be interested to hear that Amazon have also created a new Fire 7 Kids Edition which features 16 GB of storage and potentially 8 hours of battery life. It also comes with a 2-year guarantee and an all-important kid-proof case. The Fire 7 is £49.99 and the kids’ edition is £99.99. 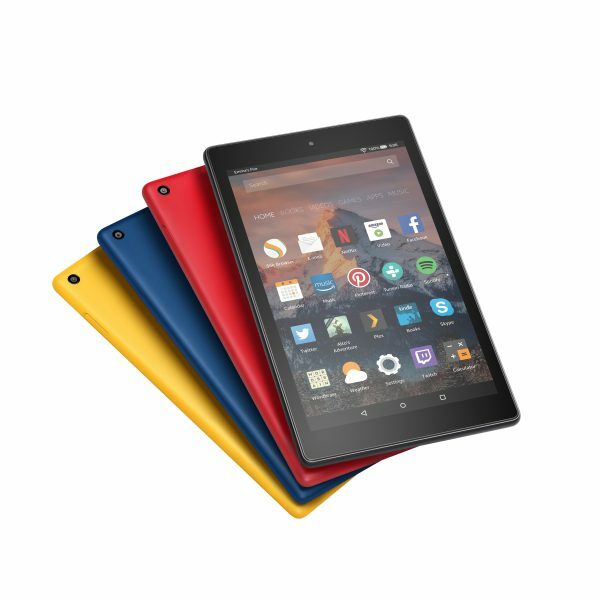 There is also a Fire HD 8 Kids Edition with 32 GB of storage and the same 12 hours of battery life. Like the Fire 7 Kids Edition comes with a 2-year guarantee and the kid-proof case. This has an RRP of £129.99. Both of the kids’ devices also come with Fire for Kids Unlimited which is a service that offers age-appropriate books, videos, games and educational apps. There are tens of thousands of hand-curated websites as well as a Parent Dashboard and Discussion Cards. 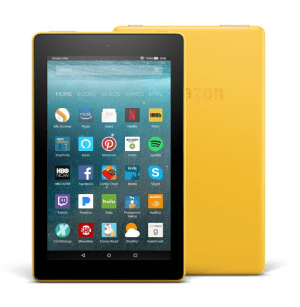 Would the inclusion of Alexa tempt you into buying a Fire 7 or Fire HD 8?